Suez has appointed Yuvbir Singh as CEO of its Water Technologies & Solutions (WTS) division, effective 8 April 2019, succeeding Heiner Markhoff. Singh joined General Electric (GE) in 1995. 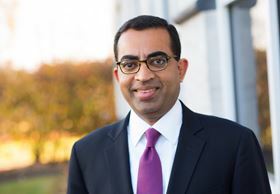 Singh worked for GE Water between 2004 and 2015, where he played an integral role in a series of transformative acquisitions, and ultimately led the Engineered Systems team. He was promoted to vice president of the global locomotive business for GE Transportation in 2015, and to vice president of equipment in 2018. Markhoff, who has made the personal decision to step down as CEO from 30 March 2019, led GE Water and now the Suez Water Technologies & Solutions business for 10 years. He will continue to work with Suez in an advisory capacity. “This first year of integration of Water Technologies & Solutions was successful, notably with the involvement of Heiner Markhoff. I would like to thank him very warmly,” said Jean-Louis Chaussade, CEO of Suez.